Explore a 3D-scanned recreation of the Chernobyl Exclusion Zone. 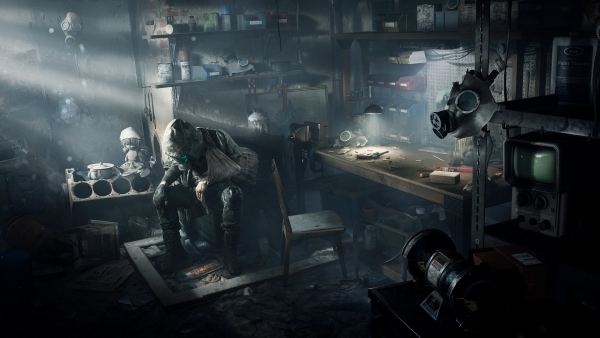 Get Even developer The Farm 51 has announced Chernobylite, a sci-fi survival horror game coming to consoles and PC (Steam) this fall. Survive – Ally or compete with other stalkers of the Chernobyl zone to survive. Remember that life is fragile, and it is your decisions that determine the fate of your companions. You can spend as long as you need preparing; however, be aware that your story is still being written. Every passing moment your chances of success are dwindling, comrades are dying, supplies are running out, or an unexpected patrol could discover you. On top of this, supernatural dangers are arising around you in mysterious patterns. Each day brings new challenges, adding to the ever-increasing severity of your current situation. Plan your strategy carefully if you want to survive. Play by Your Own Rules – Craft your gear and weapons to protect yourself from the hostile military personnel and supernatural threats lurking in the zone. Make use of the sophisticated tools at your disposal to aid you in your struggle while navigating the rough and contaminated environment. Stay undetected and gather all the evidence you can in order to piece together events from the past. Decide what happens in the world around you by making choices and finding or avoiding the truth. Experience – Maintain your resolve and keep your wits about you; the Chernobyl Nuclear Power Plant is not what it once was. None can foresee the horrors that may have befallen your beloved. Explore the beautiful and horrifyingly accurate 3D-scanned recreation of the Chernobyl Exclusion Zone. Collaborate or compete with other stalkers of the Zone. But whatever you do, never fully trust them. Remember everybody has a hidden agenda. Always. Face and survive the natural and supernatural threats. Immerse yourself in the non-linear, thrilling, science-fiction horror story. Make good use of your physics and chemistry knowledge to craft your equipment and manage your supplies. Fight against the savage creatures pouring out from an alternate reality. Investigate and collect data with a set of sophisticated environment and substance-analyzing tools.